Jadon stayed home sick from school one day, but we had to run by and drop off some stuff for his teacher. 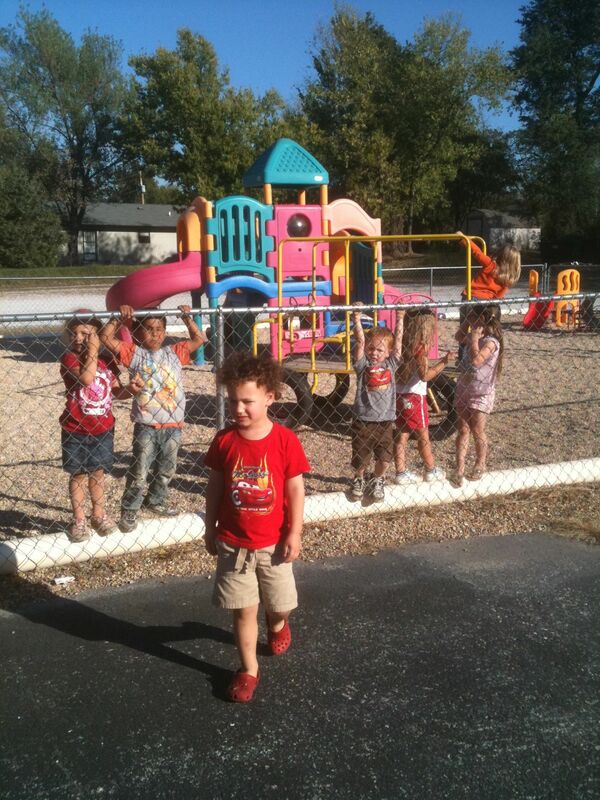 When we got to the school, his class was playing outside and got excited when they saw him get out of the car. A bunch of the kids ran up to the fence and were reaching through, trying to get to him. Some of the kids were yelling for Jadon to give them a five or a hug, but some were just yelling “Touch me Jadon, touch me!” I figure he’s either practicing for his future life as a preacher, a politician, or a celebrity. It will be good practice for later, when he’s shaking babies and kissing hands…or however that saying goes. Such a cute story & so believable! Who doesn’t adore Jadon?